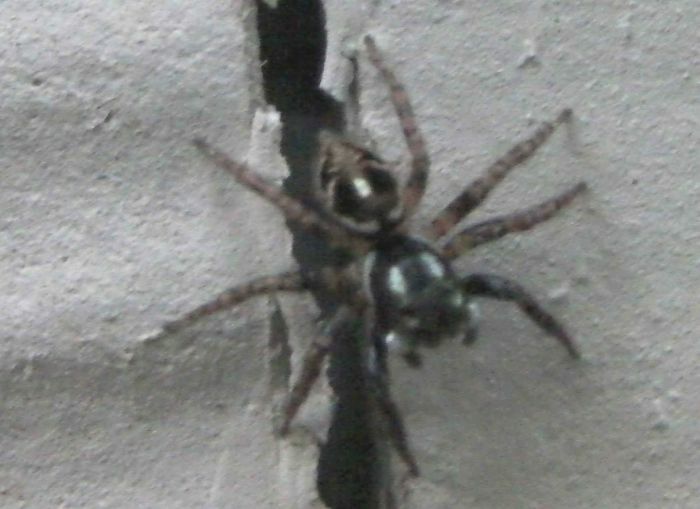 Anasaitis canosa (Twin-Flagged Jumping Spider). Size: approx. 3-5 mm. Photo: 09/06/14, 1 pm. This little spider sat on our house wall. The term 'twin-flagged' refers to the two white marks on the body. They hunt ants, flies, and beetles. Wikipedia gives detailed information on their hunting techniques. 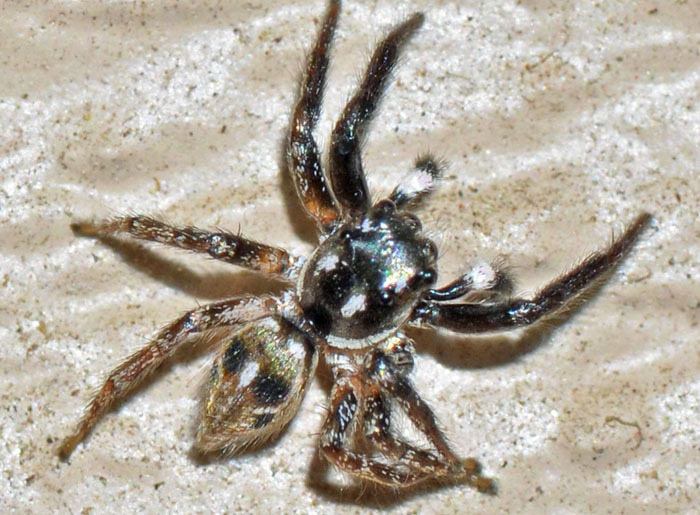 About 13% of all spider species are jumping spiders. They have excellent vision and use silk tethers to secure jumps. The small photo dates 06/23/11.